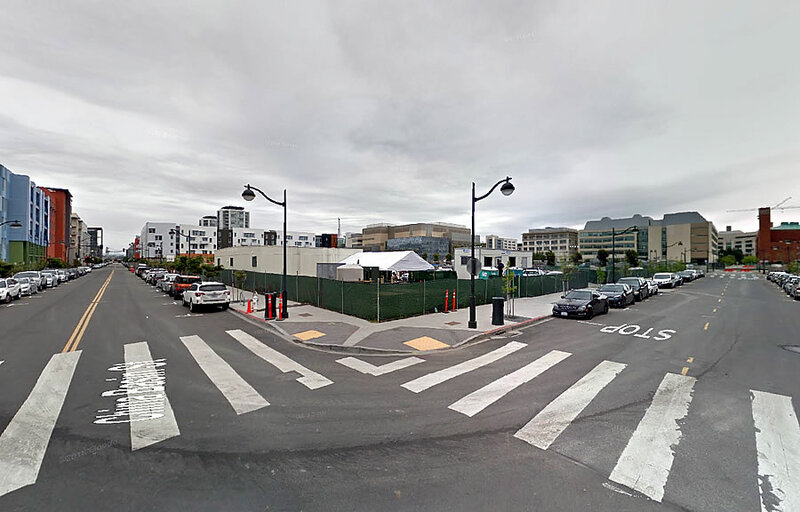 The ground for the 152-unit development which will rise up to 74 feet in height, not including its parapets, on the western half of Mission Bay South Block 6, along Merrimac Street, between China Basin and Mission Bay Boulevard North, is now expected to be broken this coming April and construction will take 22 months to complete. 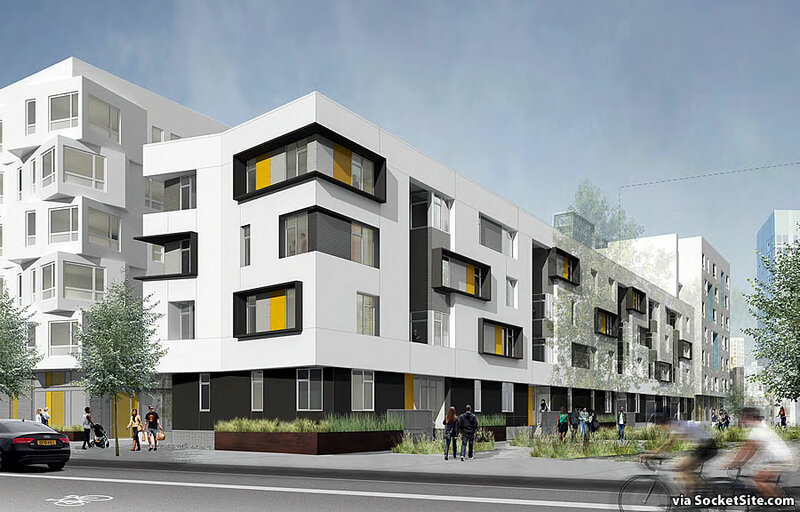 The 152 apartments, the majority of which will have at least two bedrooms, are being developed by Mercy Housing of California and will be made available to low-income households earning up to 60 percent of the Area Median Income (AMI), with 38 of the units set aside for households relocating from HOPE SF public housing sites. 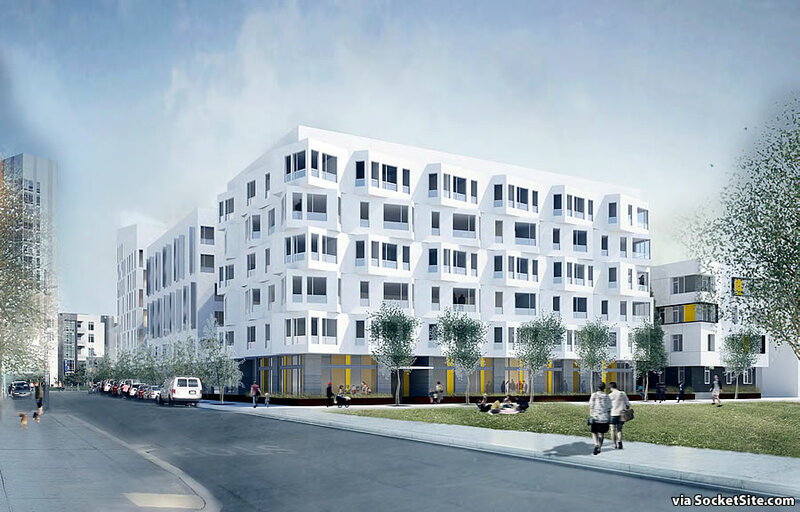 And as we first reported earlier this year, with a total projected project cost of roughly $115 million, including both hard and soft costs, call it $756,579 per dwelling unit, roughly $391,156 per bedroom (counting the ten studios as ones), or $614 per gross square foot for the development overall, not accounting for the underlying value of the land. More housing is great – but “$756,579 per dwelling unit, not accounting for the underlying value of the land,” is not a sustainable affordable housing policy. We meet 1% of the demand every year with and ignore the other 99% of people looking. 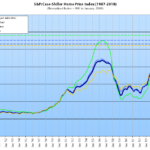 Given the paltry increases in supply, prices continue to rise faster than incomes. According to the Census “in 2017 32.5 percent of SF residents’ income is devoted to housing, up from 28.5 percent in 2012.” We need to figure out a better way to do this. What do you suggest ?? 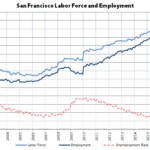 One of the reasons – logically, perhaps the main reason – the cost/sf is so high is b/c of high labor costs. But labor is costly b/c of the high demand for it…aka “building more housing” So building expensive housing > higher labor costs > building even MORE expensive housing. A rational (“market”) response to this situation would be to stop building …or SF should build its affordable housing in some other city. Good point on the labor cost. We always talk about automating housing construction, but haven’t seen the progress we have had in other industries. Automakers produce more cars than they did 30 years ago but with only 10% of the people. Same for the agricultural economy. Only about 2% of the people do all the farmwork nowdays. We need similar progress in housing production. Right now the housing programs we fund just have us falling further behind. Notcom’s premise (“labor is costly because of the high demand for it”) is false, but Pablito’s point about the low rate of productivity improvements of residential housing construction compared to other industries over the past few decades is worth considering. Residential housing construction’s productivity in the U.S. has either barely moved or has declined in real terms, depending on how you account, while in industries as varied as agriculture, retail, and manufacturing productivity has increased 10 to 15 times since 1945. Also, from McKinsey, Reinventing construction through a productivity revolution:Globally, labor-productivity growth in construction has averaged only 1 percent a year over the past two decades, compared with growth of 2.8 percent for the total world economy and 3.6 percent in the case of manufacturing. In a sample of countries analyzed, over the past ten years less than one-quarter of construction firms have matched the productivity growth achieved in the overall economies in which they work.What Pablito should ask himself is why this is. Compare the R&D investments of the residential construction sector (particularly in the U.S.) to those of agriculture, retail, and manufacturing. Is that spending even in the same ball park? If not, why should it not be surprising that productivity enhancements and labor saving devices are so scarce? I think the labor saving devices are there. Talking to any tradesman – tools used for construction have gotten much better over the last 30 years. That’s a global market with significant R&D. Construction has also benefited from improvements in communications and just in time delivery of materials like every other industry has. We should focus investment on transit infrastructure, to make it less important where people live. Building could then take place where it is most cost efficient. Right now, we are pricing out even the middle class because they have to subsidize “affordable” units, opening the gap more and more. Btw., can someone explained to me why we are giving so much money and power to a faith based group? This is just so absurd as to almost not require a response. 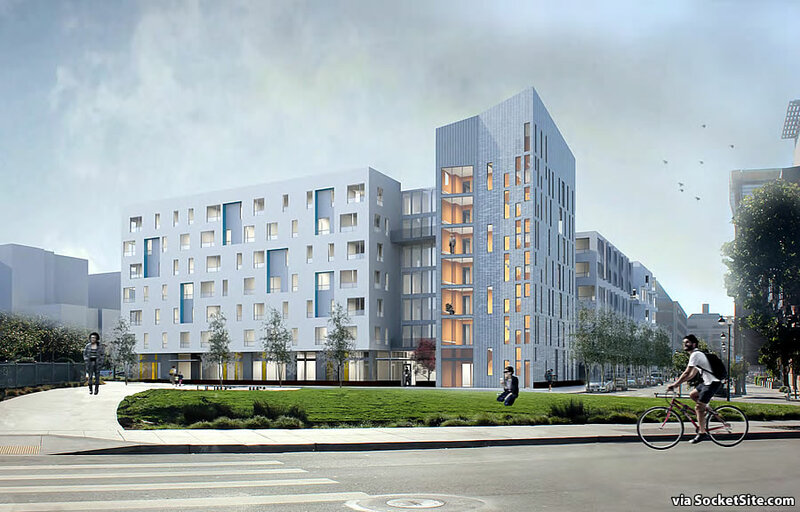 The marketplace is “pricing out even the middle class” (“What do you mean we, kemo sabe?”) and that is in spite of the subsidization of affordable units. If SF zeroed out inclusive housing mandates tomorrow, the middle class that is priced out today would still overwhelmingly be priced out, and the difference between the two populations of buyers/recipients would be marginal. And most commentators that say “focus investment on transit infrastructure” really mean “build more roads so people like me can commute in to SF from San Ramon, alone, in our Range Rovers”, they don’t mean more light rail, for example. That approach has been tried over and over again and has failed.